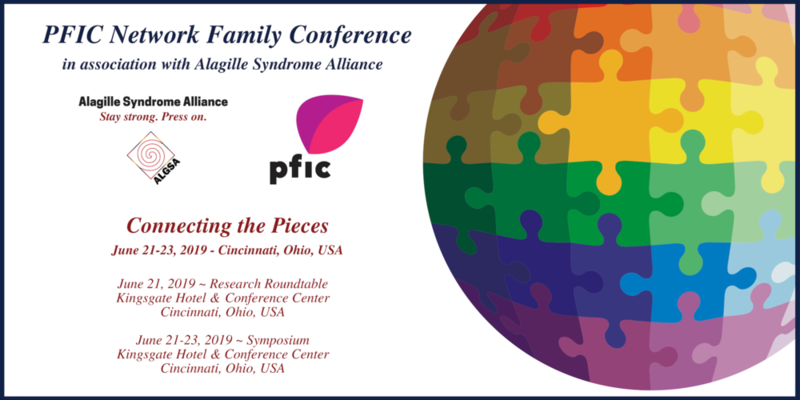 The PFIC Family Conference is the first ever opportunity for PFIC families worldwide to get together at one event. We will kick the weekend off with a welcome dinner just for our families at Buca Di Beppo's followed by two full days of discussions amongst families, providers, researchers and advocates. There will be discussions led by PFIC experts, peer groups and childcare available. The PFIC Network will also be able to aid in travel sponsorship for our families to attend. For more information on travel sponsorship, please email emily@pfic.org. We are so excited to be able to create this opportunity for our PFIC community and extremely grateful to the ALGSA for allowing us to take part in their conference! Look forward to meeting everyone in Cincinnati! EARLY BIRD REGISTRATION FOR PFIC PATIENTS & FAMILIES! EXTENDED! REGISTER BY APRIL 15 for travel sponsorship to ensure maximum assistance. After this deadline, funds will be distributed as available. E-Mail emily@pfic.org for more details.